Denmark’s DSB has placed an order for 26 electric Vectron locomotives from Siemens. The new 200 km/h units will enter service from 2021 and will be able to operate cross-border services to Germany and Sweden. DSB said the new electric locomotives will mainly operate in the Zealand region, hauling its fleet of double-deck carriages. The order includes an option for 18 additional locomotives and maintenance of the new units for up to 15 years. 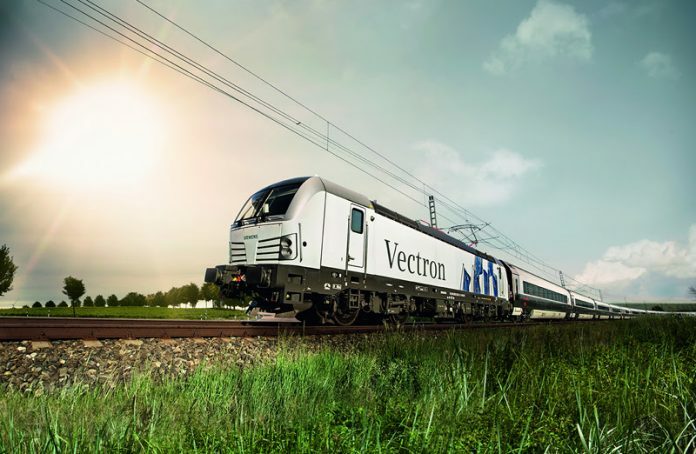 The Vectron locos will replace DSB’s ME and EA fleet. The ME fleet recently had to be taken out of service after cracks were discovered on two axles.